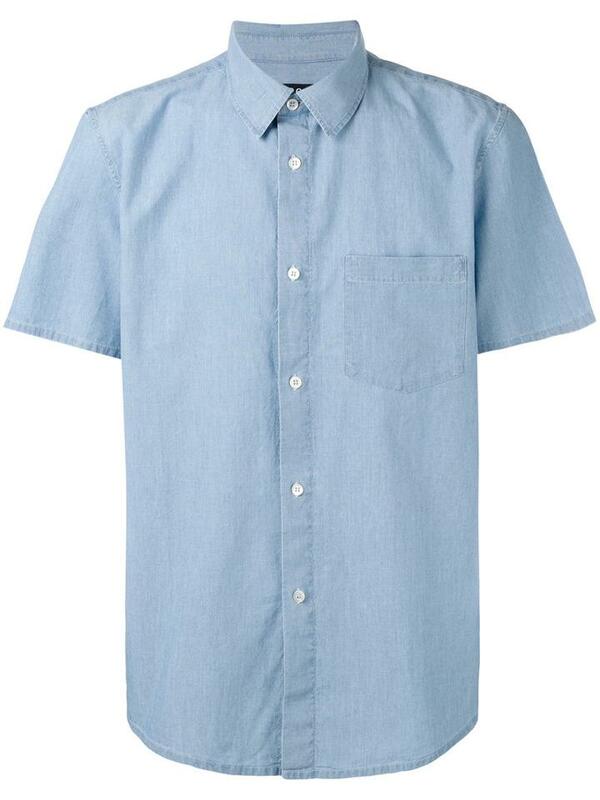 Blue cotton shortsleeve shirt from A.P.C. featuring short sleeves, a button down collar, an open front pocket, a straight hem and a classic collar. Size: L. Gender: Male.